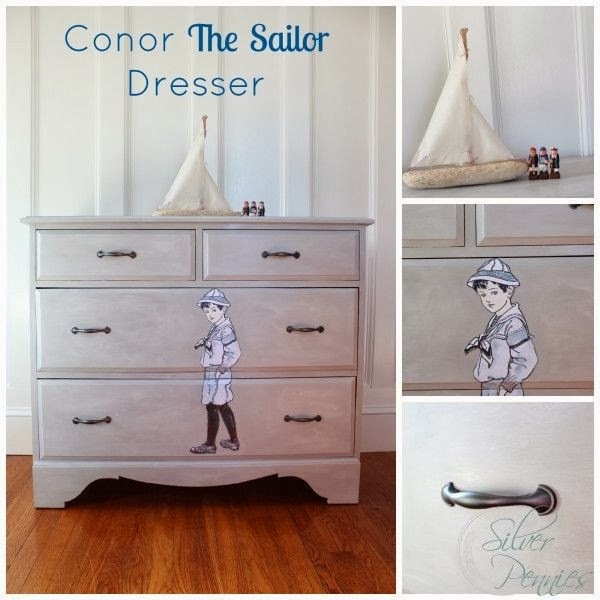 Meet Conor The Sailor Dresser from Silver Pennies. Danielle painted this one for her son. When it was finished, he jumped up and down on his bed and told her he loved it - the ultimate stamp of approval! And this is Lola Marie from White Cottage Boutique. Isn't she just stunning in red! 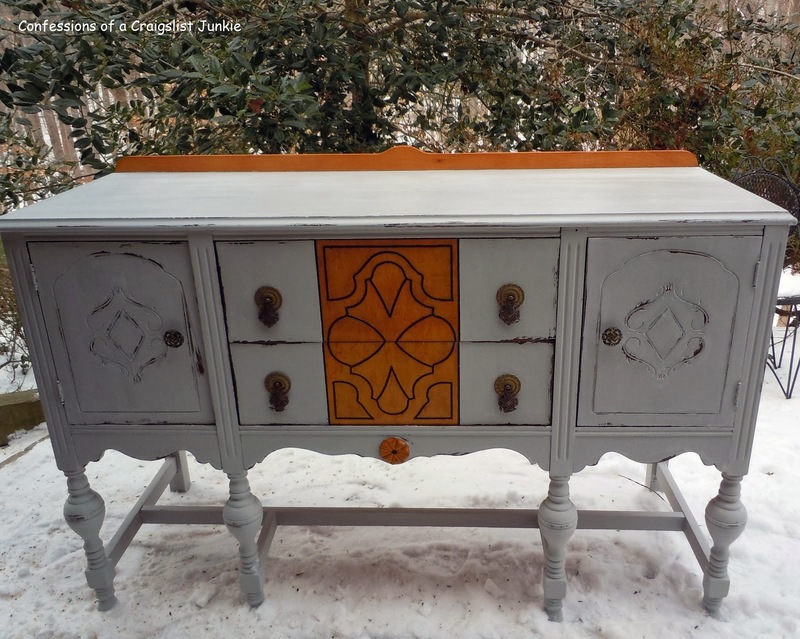 I love the natural wood inlay on this big beautiful buffet from Deborah at Confessions of a Craigslist Junkie! 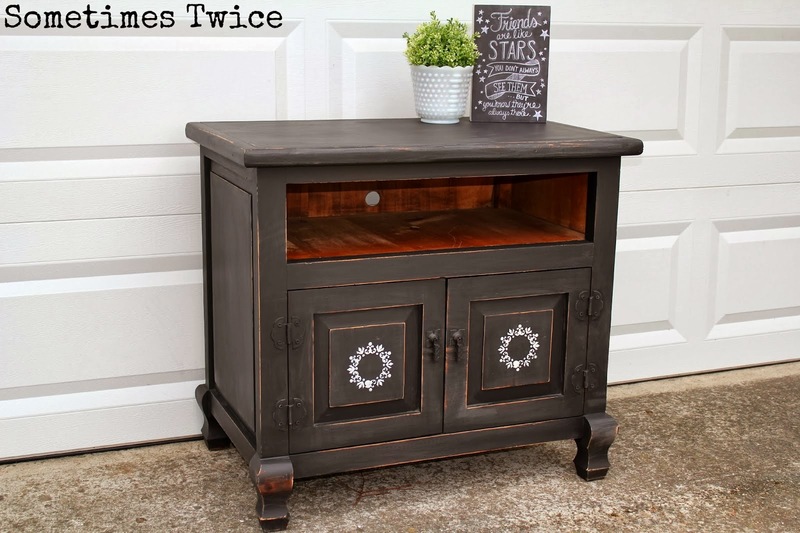 Wendy from Sometimes Twice also rocked the combination of paint and stain on this sweet little TV cabinet! Korrie from Red Hen Home built (yes, built from scratch) this triple printer's console cabinet as the media center and focal point in her family room! 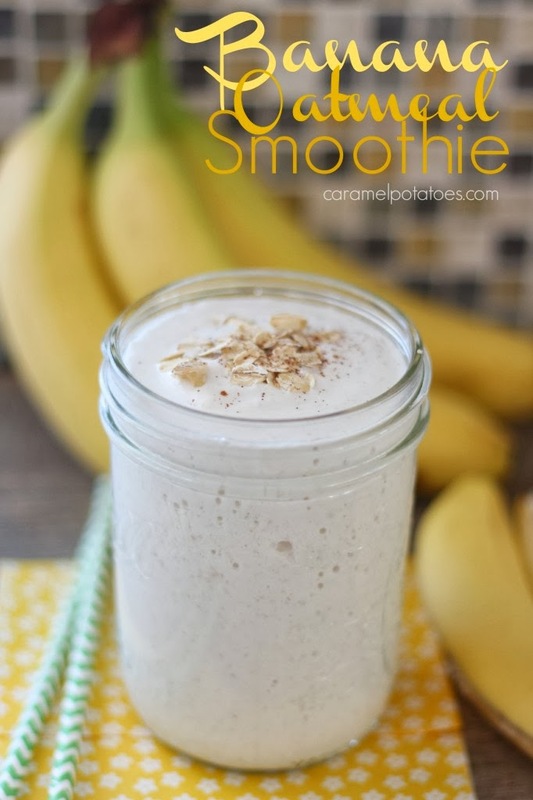 This banana oatmeal smoothie from Caramel Potatoes sounds delicious and good for you too! 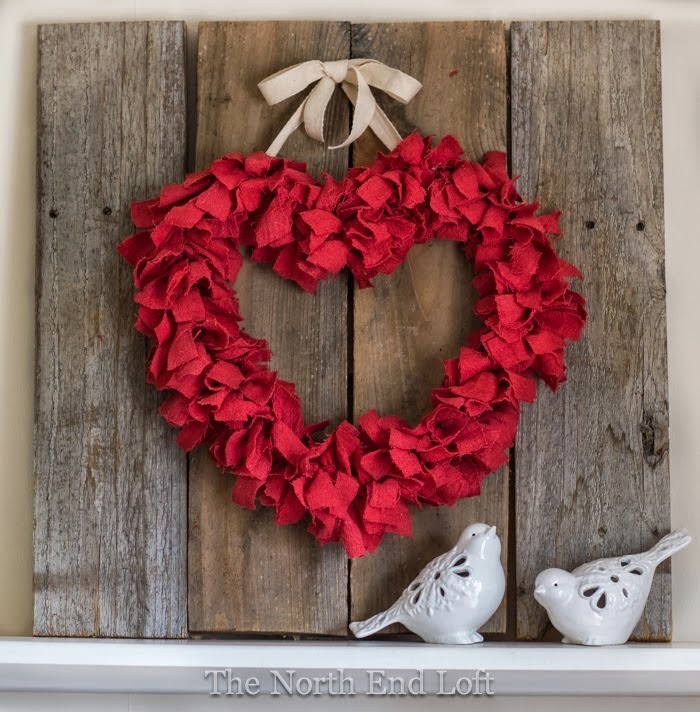 And just in time for Valentine's Day, Laurel from The North End Loft shared this pretty red heart wreath made from a wire coat hanger and a bag of rags. How nifty is that! Thanks of hosting. Nice features. Sharon, thanks for the party! Love the features, especially that rag wreath...so festive! Stay warm! so many great features! i always love seeing the talent out there! Dear Sharon and Girls of Elizabeth & Co, Thanks for hosting another inspirational link party! So many beautiful features! Hi Sharon and thank you for hosting! Have a great week! I like the red dresser! 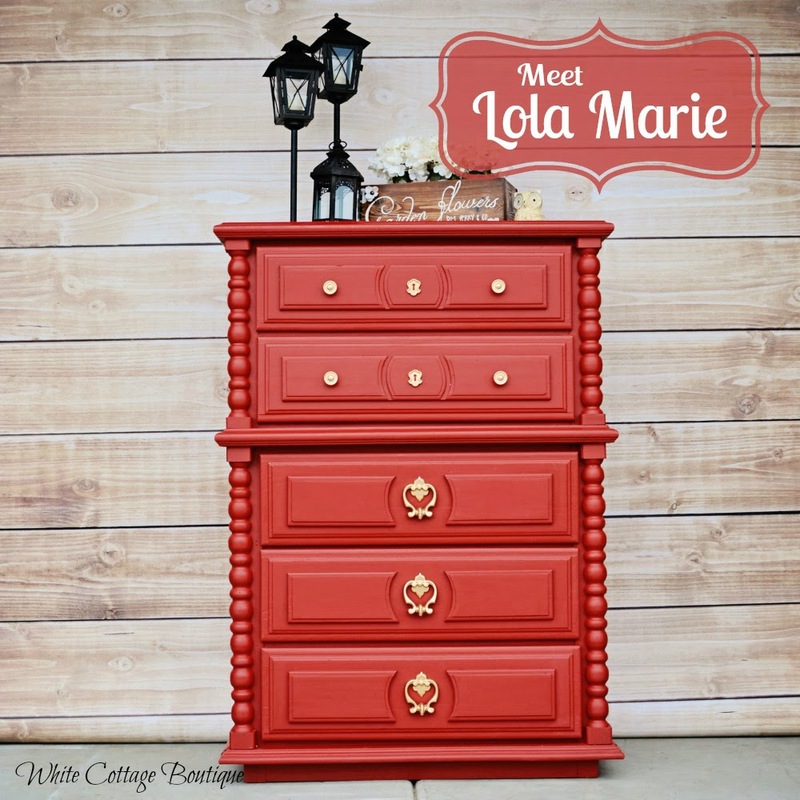 Wow that red dresser is gorgeous, and that Corrie from Red Hen Home is so super talented! You surprised me! Thank you for sharing my rag wreath! 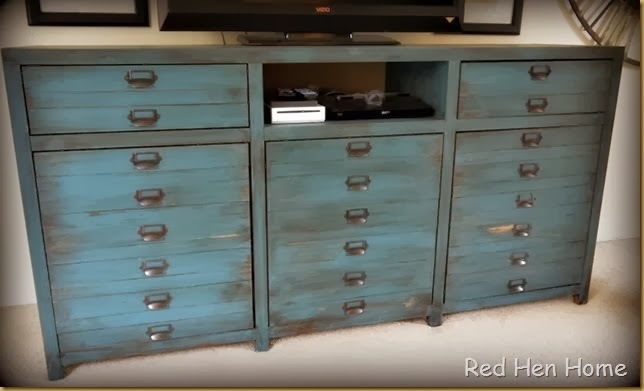 :) I love painted furniture with some stained wood showing, too. It reminds us what's underneath. The best of both finishes! Have a great week, Sharon, and stay warm! Lovely features, Sharon! Thanks so much for hosting and have a lovely week! Thanks for hosting Sharon. Amazing amount of work in the furniture features. Lovely. Have a great week. Thanks for hosting Sharon, and special thanks for the feature! Thanks Sharon for hosting the party, have a great night. Thank you for hosting Sharon! I love the Red Hen Home's built from scratch cabinet, beautiful features! I love the heart wreath for sure...but the sailor boy dresser is stunning. Oh my heart!! Thanks for featuring my cabinet, Sharon! Thanks so much for hosting Sharon...love that darling heart wreath. Thanks for all the inspiration and creativity you share EVERY week. I love the furniture YOU painted in such fun colors.